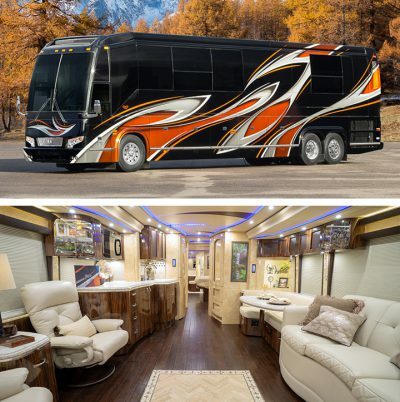 When you are looking for a Prevost Bus Conversion come to Marathon Coach. 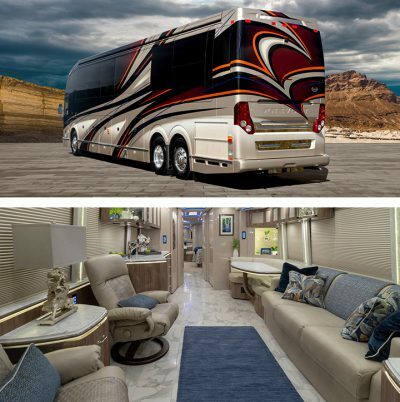 With a Prevost Bus conversion you expect superior mechanical features, outstanding engine performance and exceptional road dynamics. 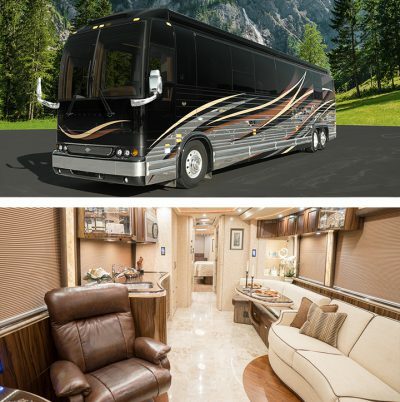 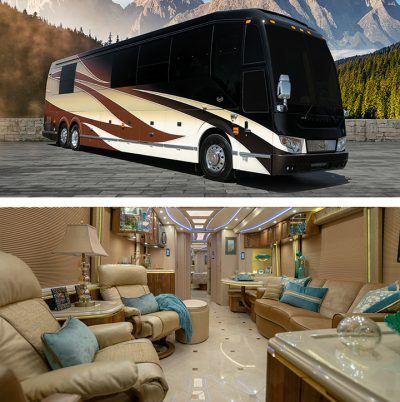 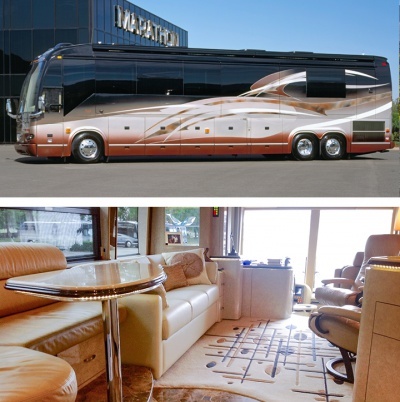 With Marathon Coach you also expect state-of-the-art technology and luxurious accommodations. 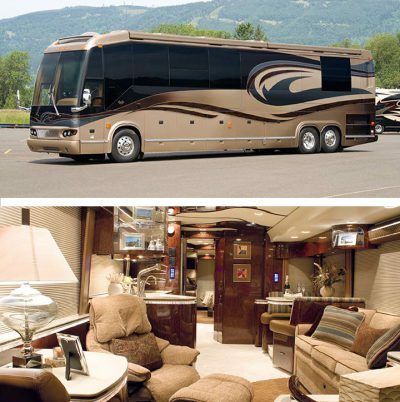 Whether you choose a new or pre-owned coach. 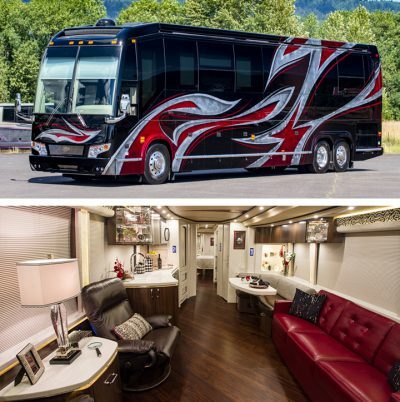 Our Prevost Bus conversions are hand-crafted works of art. 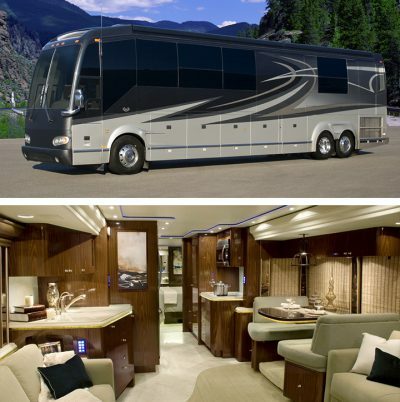 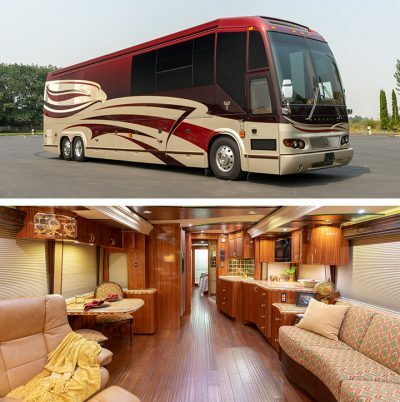 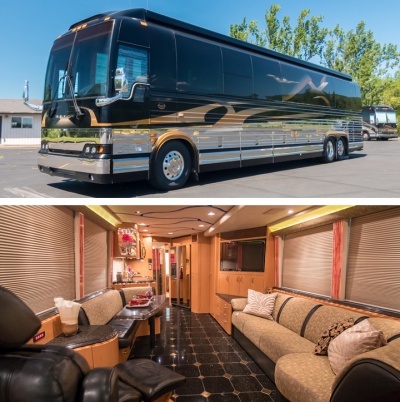 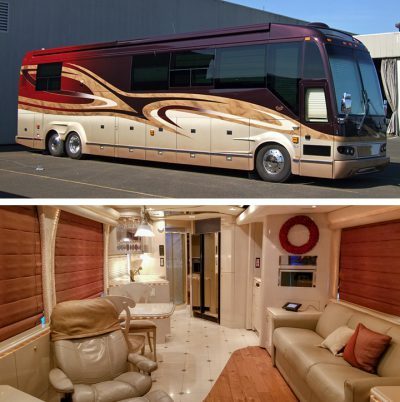 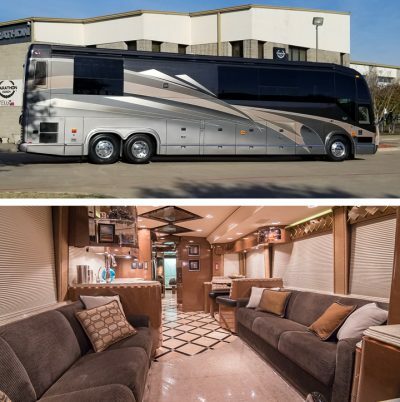 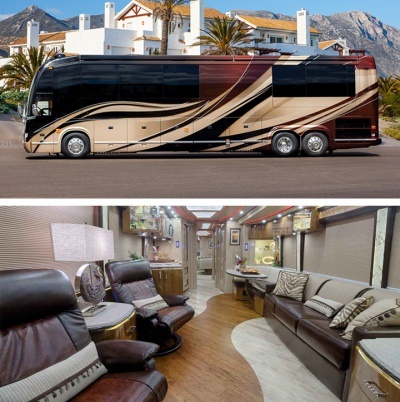 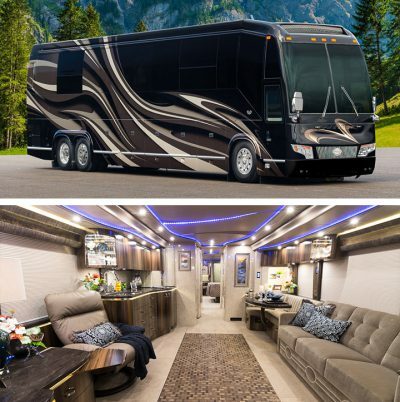 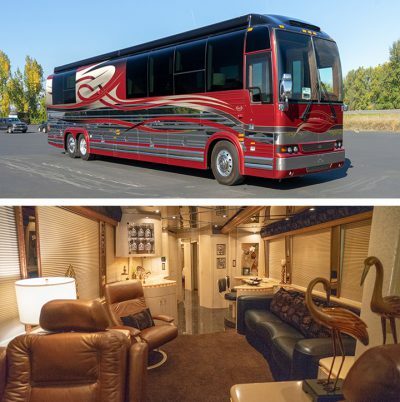 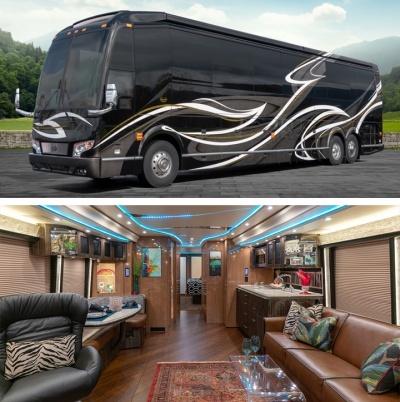 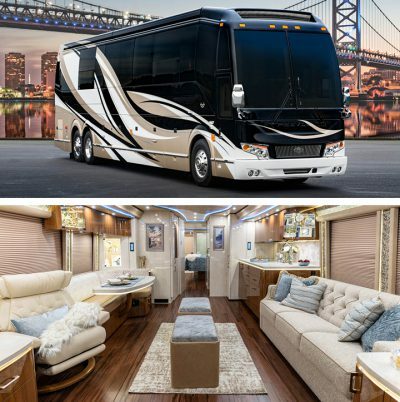 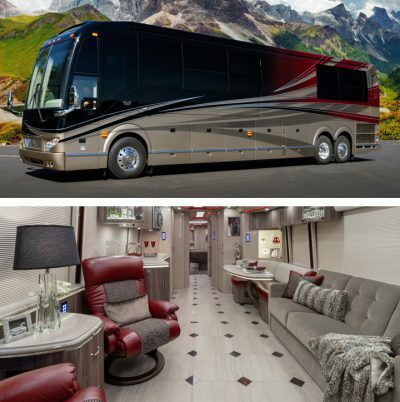 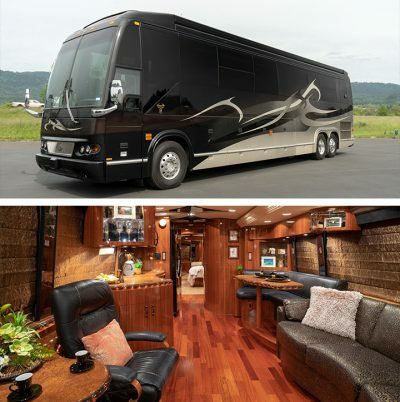 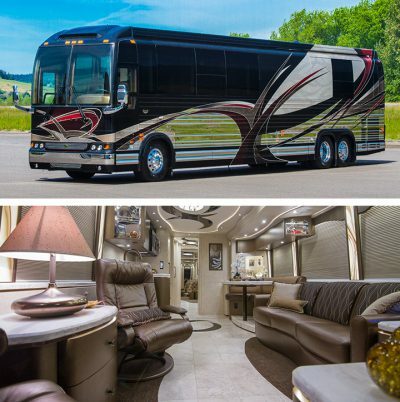 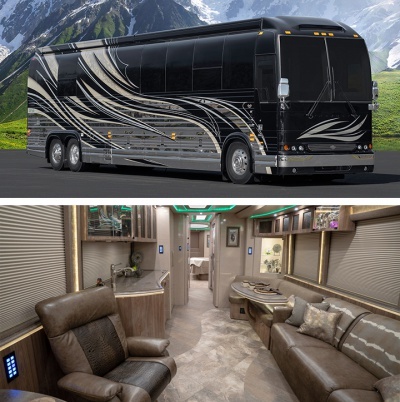 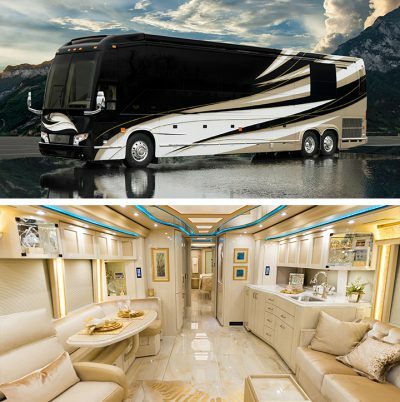 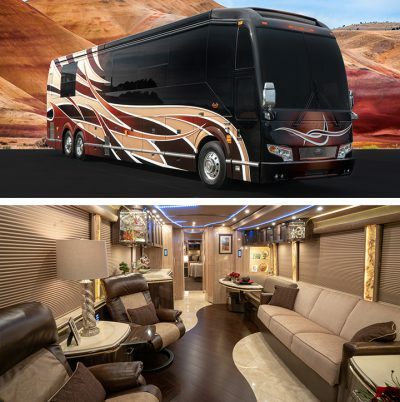 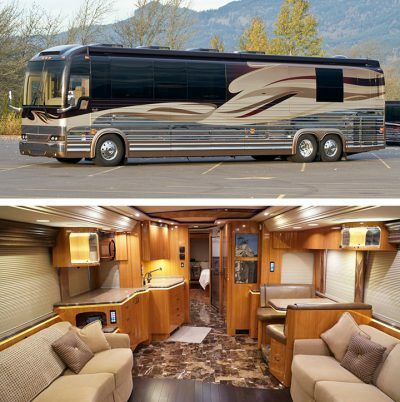 Marathon Coach produces luxury bus conversions on the unparalleled Prevost H3-45 and X3-45 chassis models. 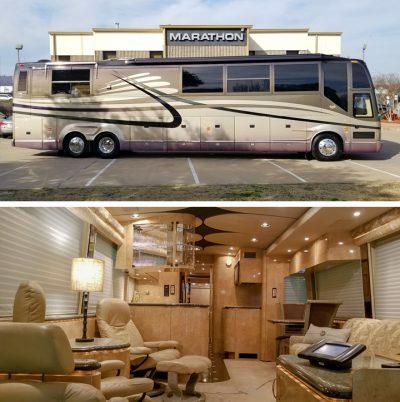 Why settle for anything less than a Marathon Prevost Bus conversion?